What Do Humane Labels Really Mean? Compassionate consumers are being fooled by clever marketing strategies employed by the animal agriculture industry to mislead the public into believing these “humane” products are cruelty free. As awareness about the horrific treatment of farmed animals grows, many people are turning to so-called "humane" animal products in hopes of avoiding food derived from animals who suffered on factory farms. Unfortunately, compassionate consumers are being fooled by clever marketing strategies employed by the animal agriculture industry to mislead the public into believing these “humane” products are cruelty free. 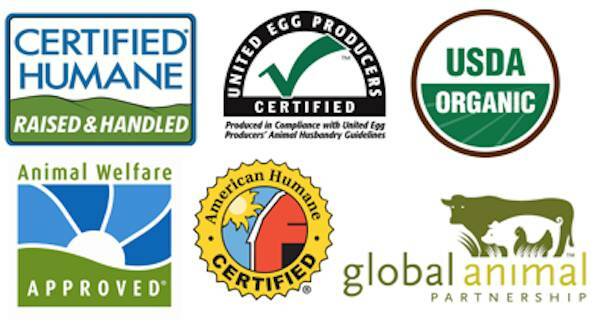 When it comes to humane labeling, deception is ubiquitous, and most people would be appalled by what private label certifiers consider to be humane. Some of the most horrific farming procedures are standard practice on humane-certified farms. Painful procedures such as tail docking, dehorning, and castration—all without anesthetic—are permitted by most humane label organizations, such as American Humane-Certified and Certified Humane. Additionally, the federal and state governments do not have rules set for the use of these terms. There is no legal definition for the word “humane” and there are no inspections ensuring that farmers’ claims about their treatment of animals are valid. Mutilation: Mutilations, such as castration, are almost always performed without pain relief. Culling: All male chicks—worthless to the egg industry and not the right breed to be raised for meat— are killed shortly after hatching by being thrown into a grinding machine. Even the smallest egg farms rely on industrial hatcheries. Maternal Deprivation: Newborn calves in the dairy industry are forcibly separated from their mothers shortly after birth. This is extremely distressful to mothers and calves alike, who are known to cry out to each other for days following this separation. 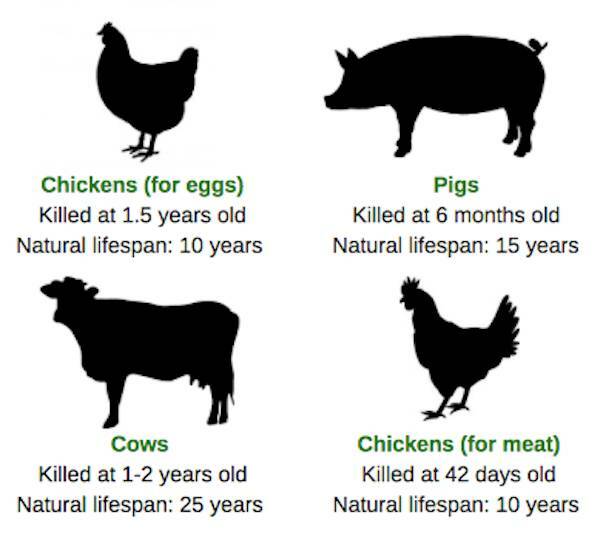 Slaughter: All animals raised for food will be violently killed at a tiny fraction of their natural lifespan. These horrific practices would be illegal if committed against dogs or cats, but chickens, cows and pigs—who are identical to companion animals in their ability to experience pain, joy, fear, and love—are specifically exempt from the Animal Welfare Act. In other words, the animal agriculture industry is allowed to legally abuse farmed animals and label their products as humane.